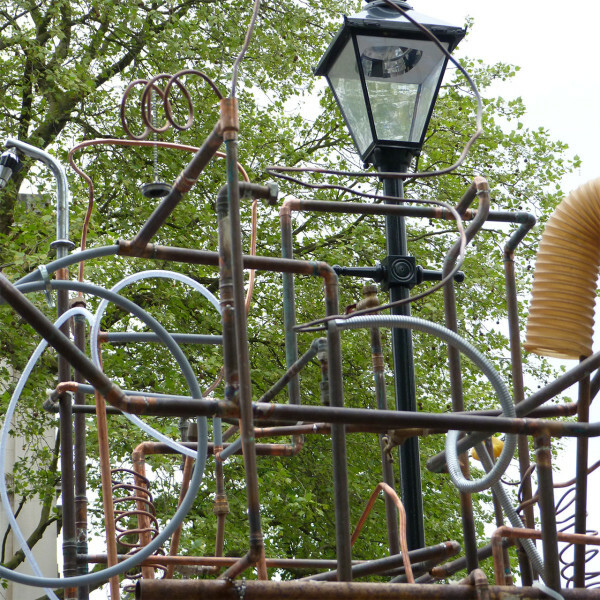 Home to more architects per square metre than anywhere else in the world, Clerkenwell is a natural setting for a celebration of design and architecture. 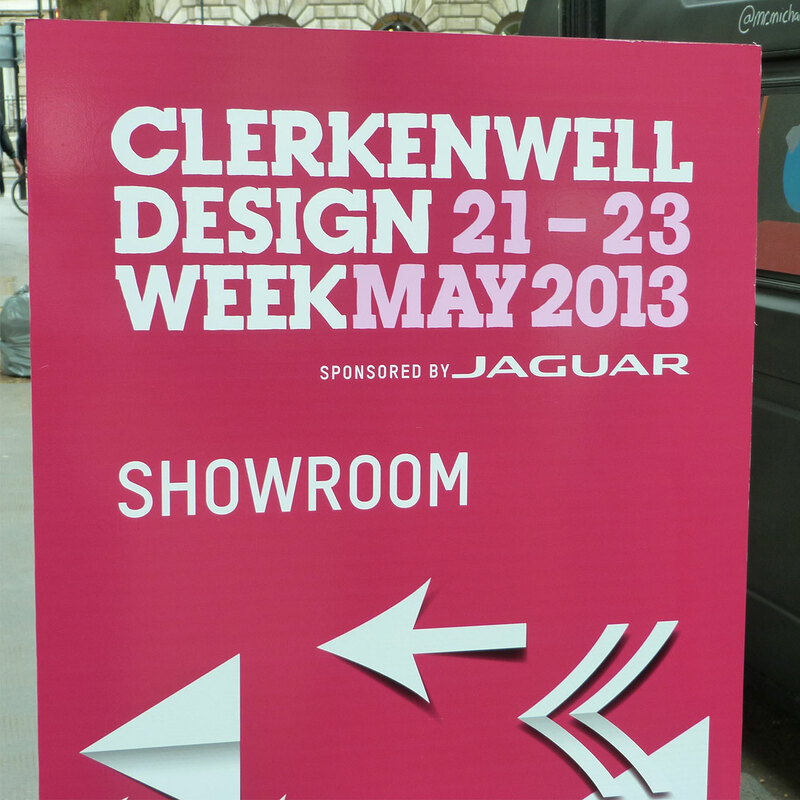 Now in its forth year, Clerkenwell Design Week hit London on May 21-23 and was bigger and better than ever. 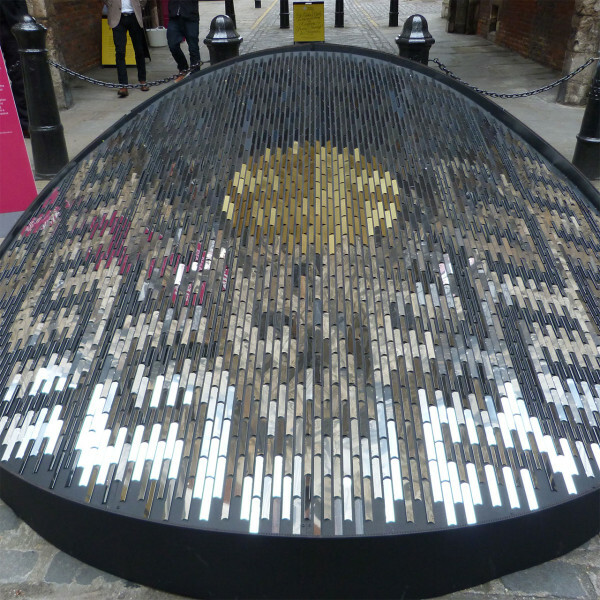 The festival has three main venues: the Farmiloe Building, the House of Detention and the Order of St John, but also extends to showrooms and pop-up installations across the area. Architecture for Humanity, a global charity that promotes design and architecture as solutions for global crises, had four installations, each representing an area of its work, including this one which features a “cloud” of water pipes and a rotating water tank. 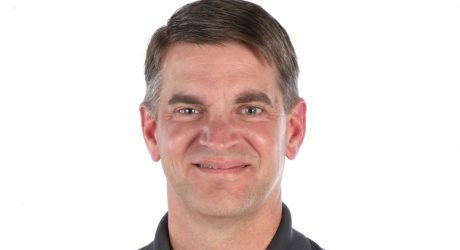 2(Hundred) is Company? 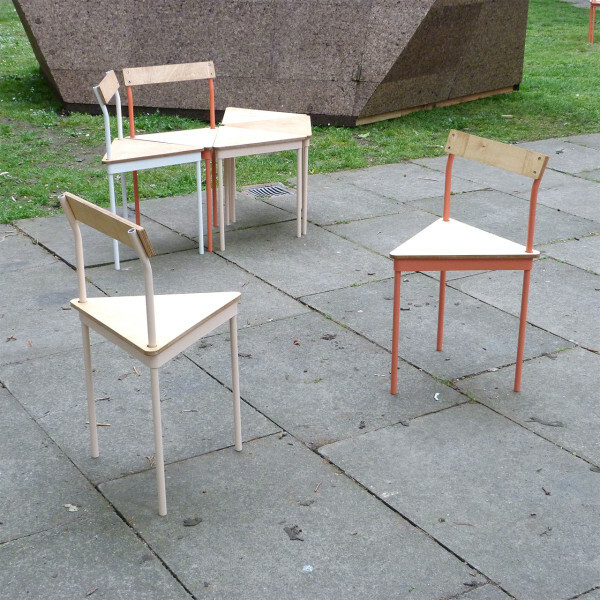 by Assemble was an installation of 200 chairs, and the same chairs provided seating in the Farmiloe courtyard. 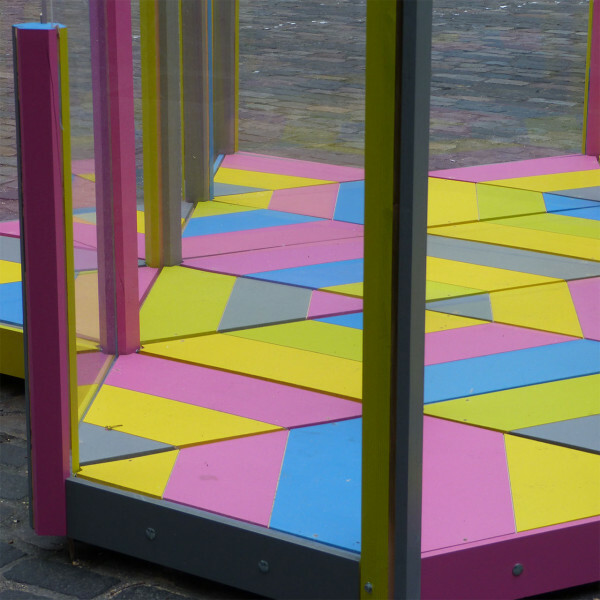 The Mirare Maze Folly by Mobile Studio provided a splash of summer on an uncharacteristically grey day in Clerkenwell. I didn’t get a chance to explore it, but the feedback from those that did was they just wished it was bigger! 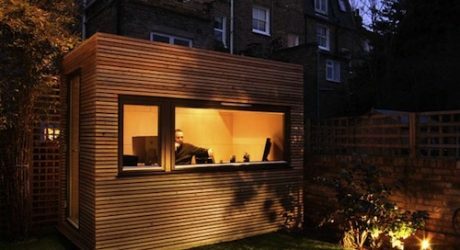 Tetra Shed has been designed by Innovation Imperative as a simple garden office, or when tessellated together, it can become anything from classrooms to exhibition spaces. 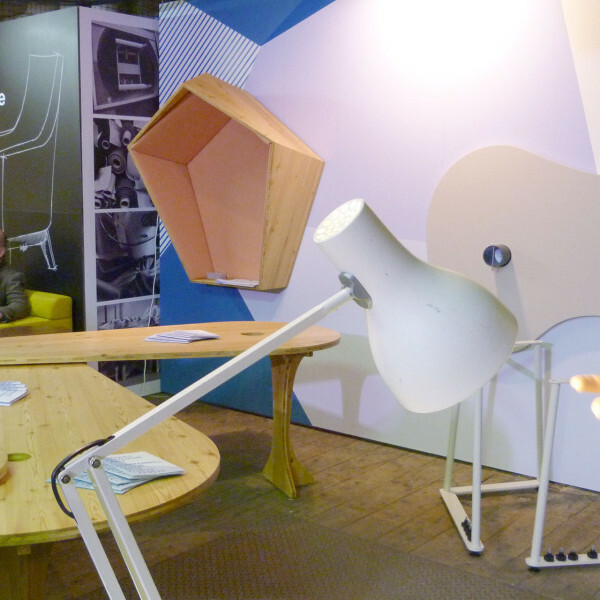 The Farmiloe Building is the hub of Clerkenwell Design week, and the stand in the window sets the tempo. 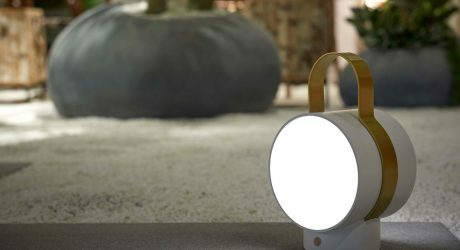 This year, it was a collaboration from Artemide and Issey Miyake. 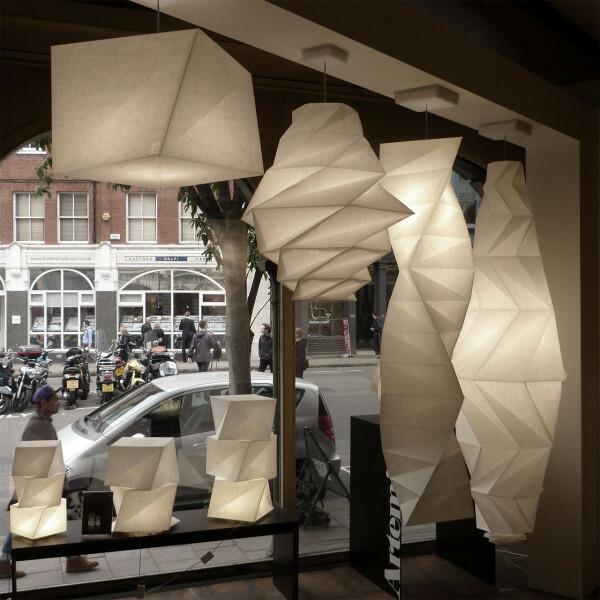 IN-EI is a collection of origami-style lighting made from recycled bottles. The Farmiloe Shed, a large tunnel-like space on the way into the main building contained a curated selection of British brands. 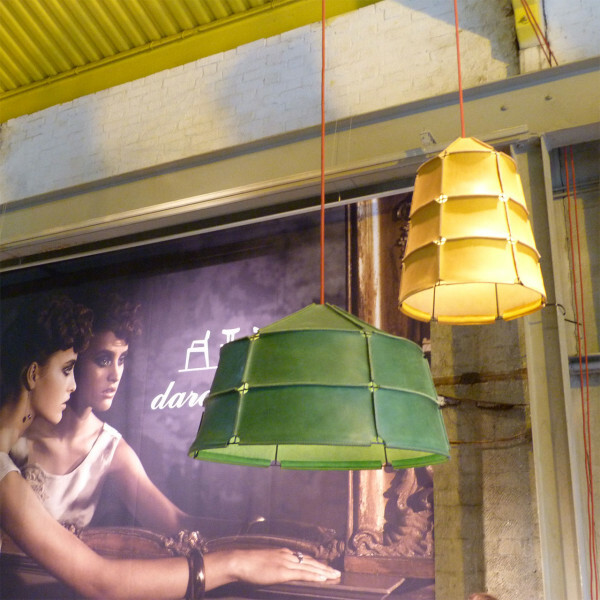 Dare Studio is definitely one to watch – their new range of naturally dyed leather lighting was one of the hits of the show. 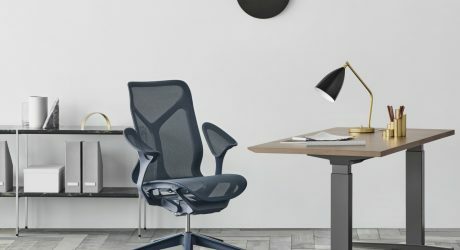 To quote James Harrison, founder and creative director of James: “We’re rocking coral pink this year.” I loved the grey Norton armchair with coral piping. 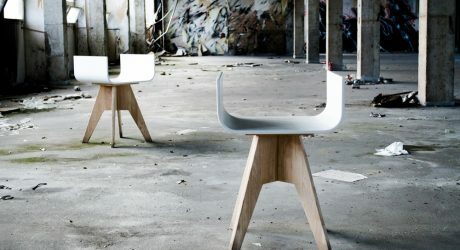 Jennifer Newman’s outdoor furniture is always incredibly well considered. 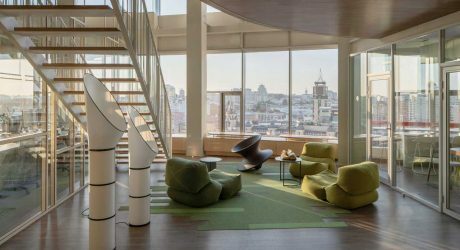 Her new M-Bamboo range is made from fast growing, replenishable bamboo which, when compressed into solid material has the appearance of a high quality semi-hard wood, and when treated to avoid bacterial degredation for use outside, has the appearance of a dark hardwood. 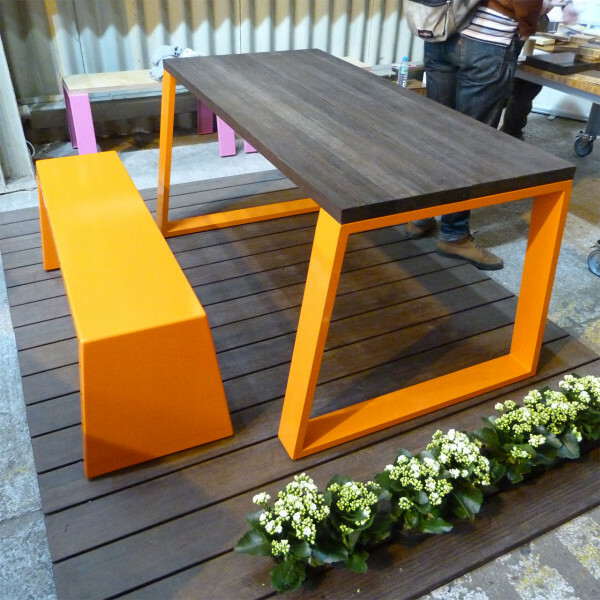 The orange powder-coated aluminum provides the perfect contrast. 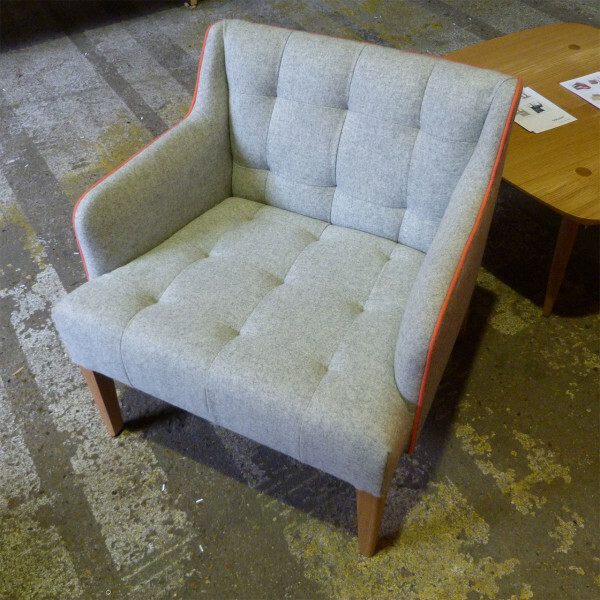 Within the main Farmiloe Building, TILT were showcasing their latest range of co-designed products. 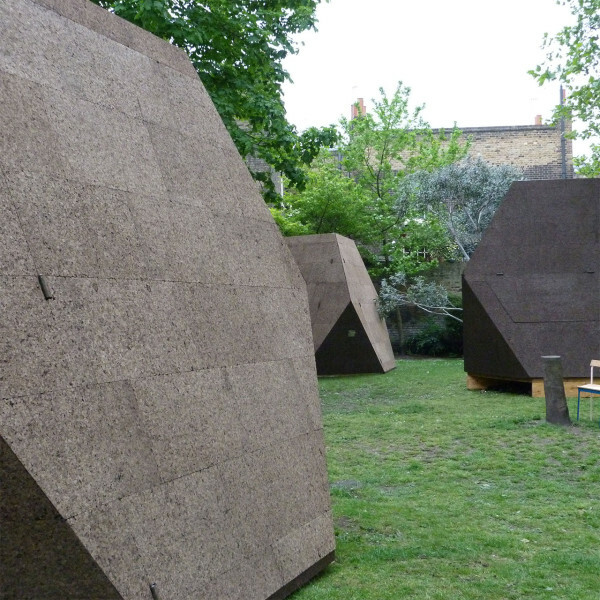 Call (top left) was developed in collaboration with staff and patients at the Whittington Hospital in London, to provide cocoon-like private spaces. 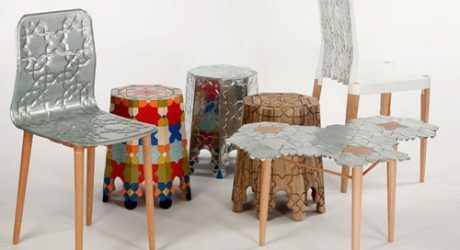 Shake the Dust is a fabulous new company working with new designers in the developed world and traditional craftswomen in the developing world to help both grow their businesses, by connecting good design with good craftsmanship and market demand. 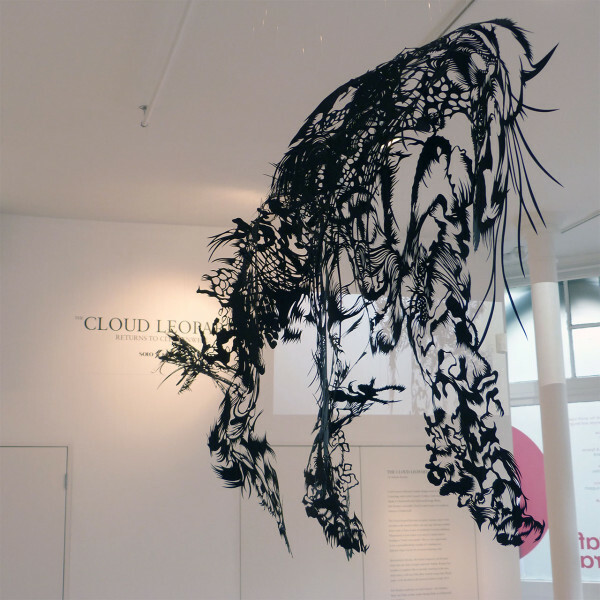 Just around the corner from the Farmiloe Building, at Craft Central, a charity working to maintain and promote fine craft and design skills, was the Cloud Leopard by Nahoko Kojima. Finely cut from a single sheet of paper, it represents five months of work and was incredible to see delicately hung from the ceiling. 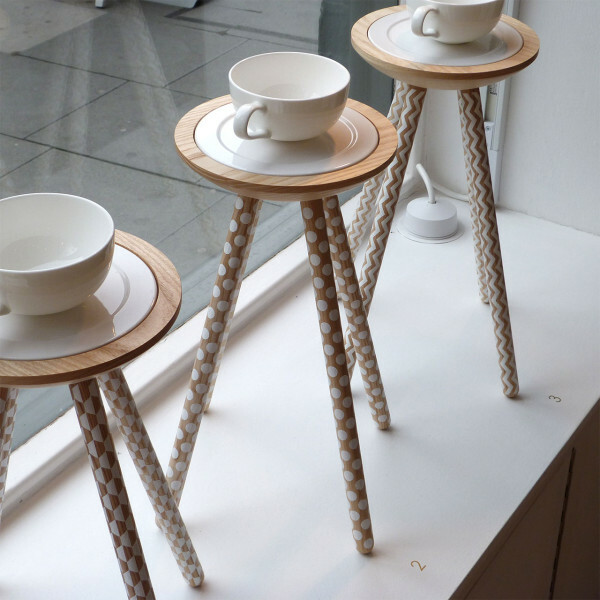 Also at Craft Central, an exhibition dedicated to tableware featured Design K’s Tea for One tables in new white stripes and polka dots. 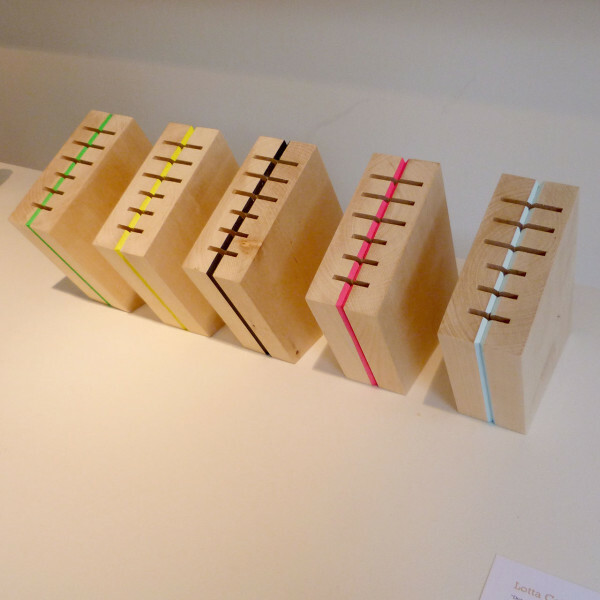 Lotta Cole’s knife blocks are inspired by a love of wood instilled from an early age by the Swedish farm and forestry her Great Great Grandfather established, that her father stills runs. The electric neon stripe brings them right up to date. 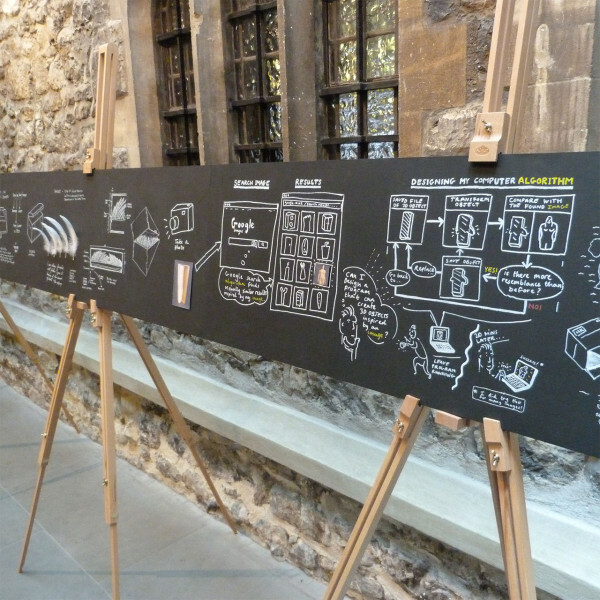 At the Museum of the Order of St John, Design Exquis presented a creative journey inspired by the Surrealist collaborative process Exquisite Corpse (Cadavre Exquis), better known to most as the game Consequences. Starting with a stethoscope as inspiration, Plant & Moss creating a light that seemed to breathe. 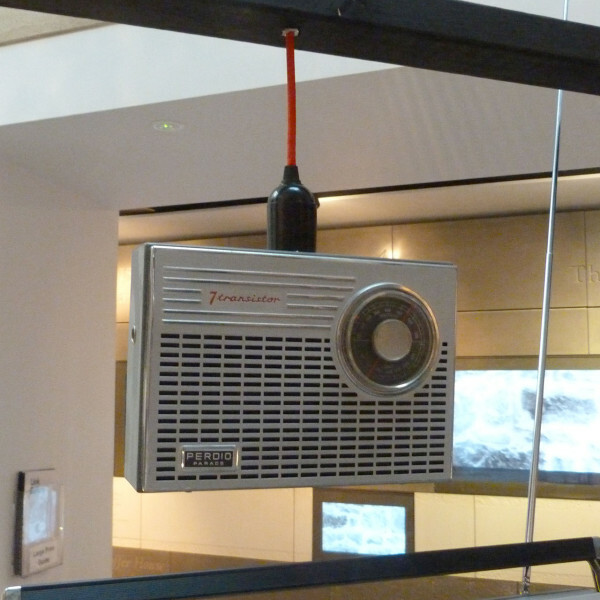 Dominic Wilcox challenged the idea that only lights should be plugged into ceiling fittings and created the Sound Bulb (above). Taking the handle of the radio as inspiration, Georg Oehler made a feather-covered light hidden in a hinged wooden case. And finally Matthew Plummer-Fernandez put an image of that light into Google Image Search and 3D printed one of the generated results to create Venus of Google. 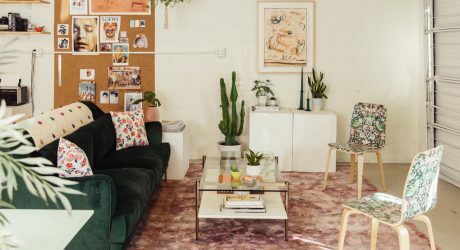 The House of Detention is a subterranean Victorian former prison and one of the most exciting Clerkenwell venues, focusing entirely on new designers. 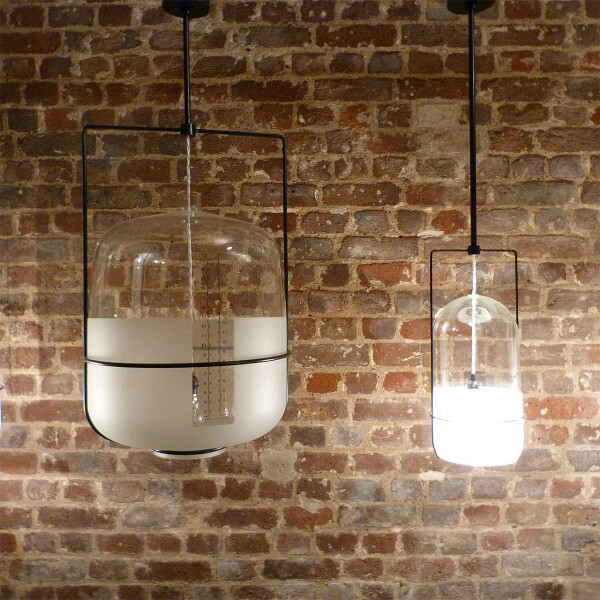 I absolutely loved Donna Bates’ Parlour Lights made using original casts for the milk receptacles on the dairy farm where she grew up. 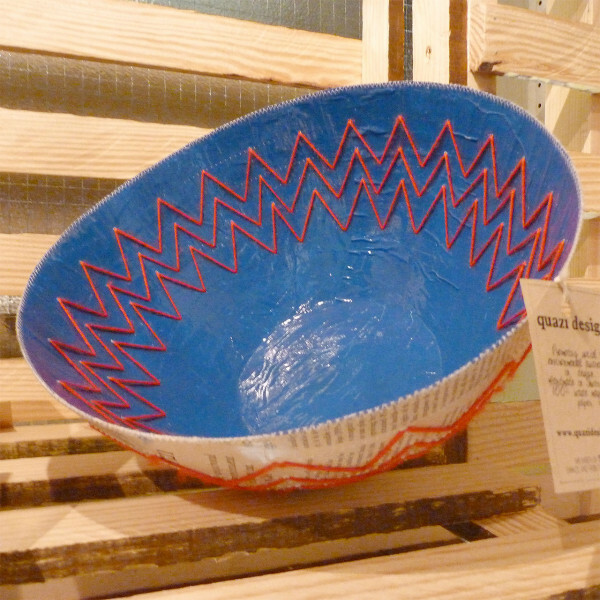 She has even faithfully reproduced the measuring system up the side, giving them a scientifically precise aesthetic. 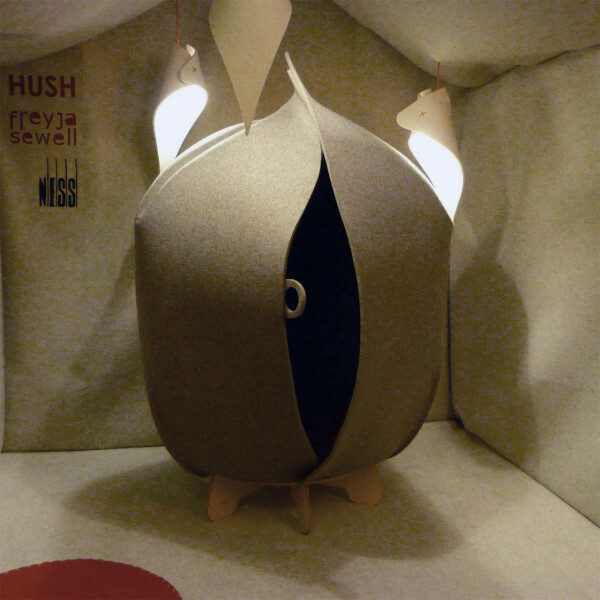 Freyja Sewell’s Hush seeks to provide an oasis of calm within busy open plan work spaces. It deliberately has no light or power source (although versions with those things are in development) to allow real moments of peace and separation. 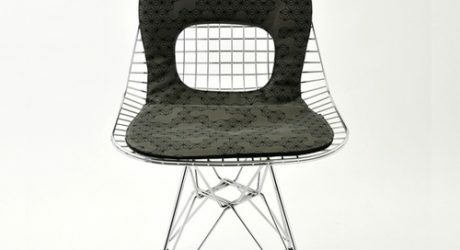 Finally, an exhibition called Making Designers hosted at the SCIN Gallery, argued for design and technology within the British education system by showing the school projects of Britain’s top designers alongside their contemporary work. 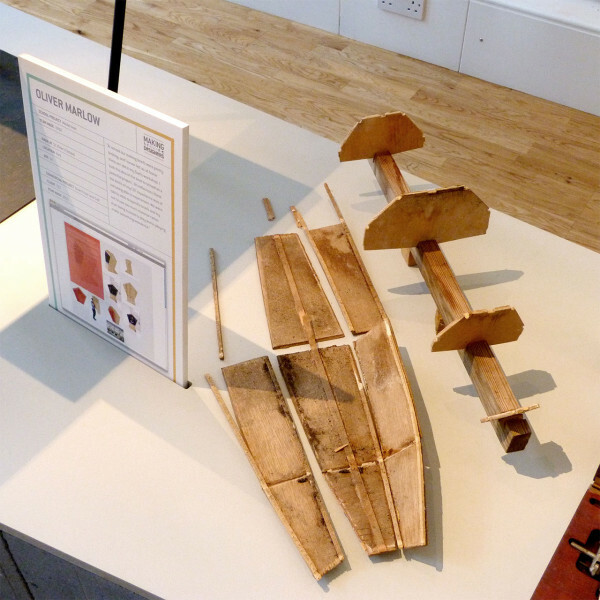 This is a model boat made by a young Oliver Marlow, co-founder of TILT. 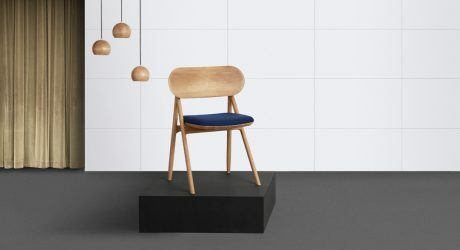 Classic Danish modern design gets a contemporary spin. 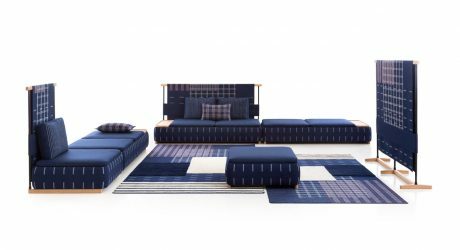 A collection of seating modules, rugs, and dividers that challenge the idea of what we normally think of in a sofa.